Will @aditi03chauhan be able to continue her year-long stint with @westhamladies amidst visa issues? In August 2015, Aditi Chauhan created history when she became the first Indian female citizen to sign up for a professional football club in England. 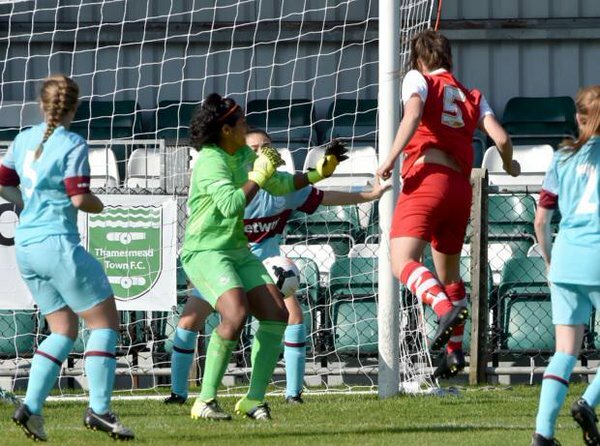 The Indian international goalkeeper signed a season-long contract with West Ham Ladies, ahead of the start of the season, and immediately went on to establish herself as the first-choice keeper of the team. Chauhan made an impressive start to life in the FA Women's Premier League Southern Division, the third tier of women's football in England. Despite West Ham struggling to post wins, the Indian custodian continued to do well and remained a mainstay in the team. Her performances didn't go unnoticed. 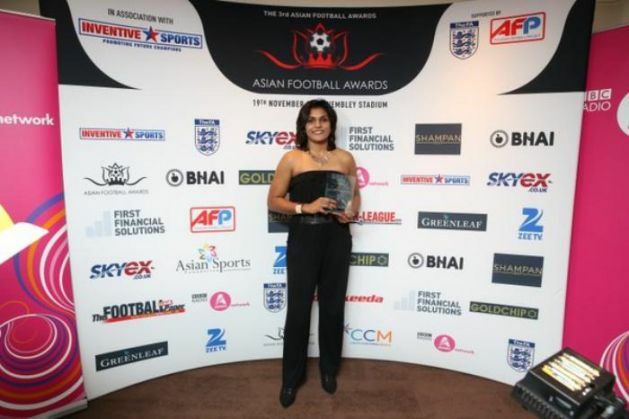 The 23-year old footballer won the Women in Football Award at the third Asian Football Awards in London on 20 November, the day she celebrated her 23rd birthday. However, while she has done extremely well since moving to West Ham, Chauhan could soon be forced to leave the country. Chauhan is currently staying on a student visa in London. Having moved to the country for higher studies in 2014, her visa is set to expire in January next year. After signing for West Ham, she ideally should have had her visa sponsored by West Ham United. However, that has not been the case due to the existing league policies set by the Football Association (FA). As per the laws, clubs below the second tier, classed as semi-professional by the FA, are prohibited from sponsoring their players' visas, or even paying them salaries. As a result, Chauhan has been staying in London with the financial help of her parents back home in India. Due of her student visa, Chauhan was also prohibited from playing from Millwall Ladies, West Ham's local rivals playing in the second tier, when she attended a trial with the club. With her student visa expiring in two months' time, Chauhan's future in the English game has suddenly been thrown into doubt. The West Ham goalkeeper is considering the prospect of applying for an exceptional talent visa or a temporary worker visa, but with West Ham unable to sponsor her visa, she remains unsure of what the future holds. "There's nothing to do but laugh at it. I wasn't allowed to play in the first or second division at first, but now I'm not allowed to play in any divisions but those. It's just ridiculous and stupid," she was quoted as saying by Telegraph UK. However, the player remains hopeful of continuing her playing career outside of England if the visa wrangle isn't resolved. "If I do have to go back, I'll apply for a visa from there. But if nothing works out, I'll probably go to some other country like Australia and carry on playing football there. I don't want to stop playing football. It doesn't matter where I go - I just want to play football," she told the English daily. Aditi's brother Aaditya recently launched an online petition on Change.org, calling on the Indian government to help the player in securing a work visa. The petition, which also calls for financial support for Aditi's efforts, has garnered over 1700 signatures so far. With there being no professional structure for women's football in India, failure to get her visa cleared could prove to be a major setback for Aditi Chauhan. At present, she is the only Indian to be playing in Europe. Delhi-born Tanvie Hans, who holds a British passport, plays a division below Aditi for the Fulham Ladies team. 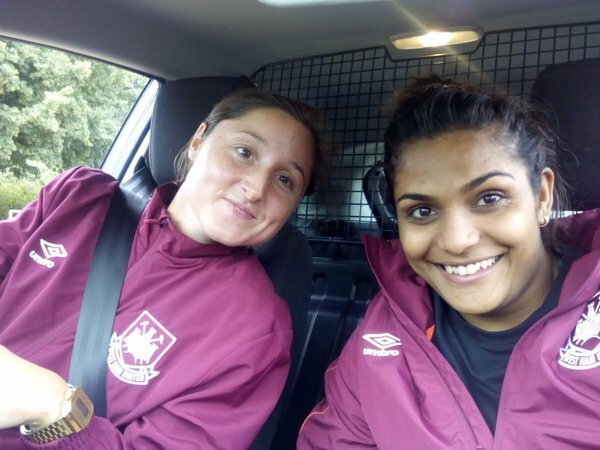 TWEET THIS 3 months after signing for @westhamladies, visa issues threaten to derail @aditi03chauhan's career in England Will @aditi03chauhan be able to continue her year-long stint with @westhamladies amidst visa issues?